Today Synaptics has unveiled a new touch pad in the form of the Forcepad, and has entered the keyboard market with the launch of its ThinTouch keyboard which has been designed for Ultrabook computers. The Synaptics ThinTouch Keyboard is 40 percent thinner than conventional keyboard traditionally used on notebook computers, and has been designed with improved reliability, and improved backlighting features. 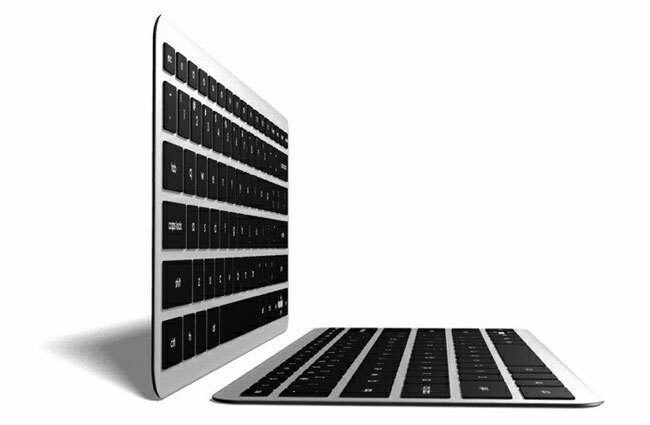 Together with the addition of capacitive sensor underneath the keyboard allowing the touchpad to disable itself automatically while a user is typing on the keyboard. The design of the thinner keyboard will allow manufacturers to squeeze in more battery and provide much thinner Ultrabooks designs. More information is available from the Synaptics press release introducing the new ForcePad, ThinTouch and ClearPad Series 7.